The sticker price is steep, but depending on where you live and who you work for, there may be thousands of dollars of state, local, and corporate incentives to buy a Chevy Volt even after the $7,500 Federal tax credit for buying a plug-in vehicle. 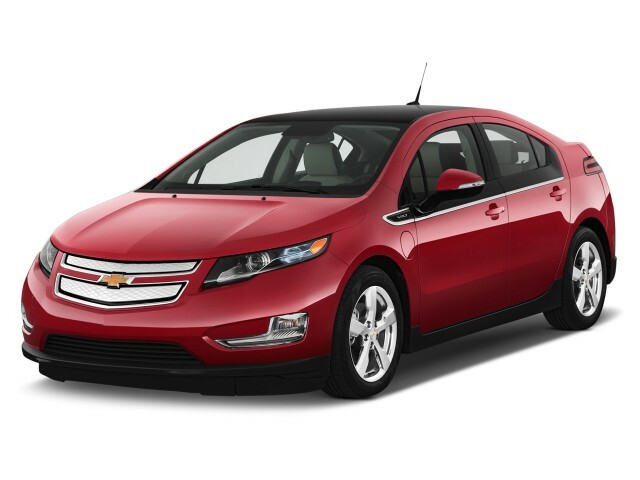 The 2012 Chevrolet Volt is the plug-in electric car you drive as far as you want--if you can find one to buy. In December 2010, almost four years after GM unveiled a concept for a plug-in electric car with a range-extending engine, the 2011 Chevrolet Volt went on sale in a handful of states. By the end of 2011, it was available at selected Chevy dealers nationwide. We've driven the Chevy Volt several times under a variety of conditions, and there's no questioning the fact: It's a real car. It seats four in comfort, rides and drives quietly, performs briskly, and comes with all the accessories and features you'd expect of any car. 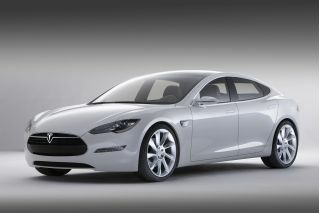 And unlike battery electric cars, it runs as long as you want it to--up through cross-country trips. Absent some of the interior styling and information displays, in fact, you might never know the Volt had a revolutionary electric powertrain. If you never plug it in, it will run happily on its small gasoline engine for as long as you keep filling the tank. The fact that the engine only generates electricity to power the electric motor that actually turns the wheels isn't necessarily evident, even from behind the wheel. But Chevy expects owners to plug their Volts in to 110- or 220-Volt power to recharge their lithium-ion battery packs, most likely overnight. That gives the car 25 to 40 miles of electric range using that stored energy. And GM relentlessly points out that three-quarters of U.S. vehicles travel less than 40 miles per day, so in theory, a Volt recharged daily and used for a commute shorter than that might never burn a drop of gasoline. Once the battery energy is depleted, the Volt's 1.4-liter four-cylinder engine switches on to generate power--but it happens so quietly you might miss it if you're not paying attention. With the engine running, in what's known as "range-sustaining mode," you'll get about 300 miles per tank of gasoline. Fill it up, and you can do it all over again. The production Volt is a far cry from the long, lean shape of the 2007 concept car. It's distinctive but not all that graceful, but there's purpose behind the lines. The closed front grille improves aerodynamics, and underlining its electric propulsion, there's no exhaust-pipe outlet at the rear (it exits under the car). Inside, the cockpit is futuristic, with detailed information displays showing the car's performance, its battery state of charge and remaining range, and its lifetime gas mileage (which tops out at 500 mpg). In its first year, there have been long waiting lists for the Volt, compounded by a weeks-long shutdown of its assembly plant for retooling. GM plans to boost Volt production for 2012, and it expects to sell every one it can make. The 2012 Chevrolet Volt, in fact, might be the ideal green car if it weren't for the staggering price: $39,995 for what is essentially a four-seat compact hatchback. Most buyers will qualify for a $7,500 Federal tax credit, along with additional state, local, and corporate incentives of many sorts. But while the 2012 Volt comes with a variety of features not usually found in compacts, it's still pricey. Any possible payback will rely on the savings on electric operation, which usually runs one-third to one-fifth the cost per mile of gasoline. GM warranties the battery pack for 8 years or 100,000 miles in most states. Still, for the first few years of its life, Volt buyers won't be shopping it against other compacts. Instead, they may compare to a Nissan Leaf electric car, or the more expensive luxury vehicles that many of them could afford. For buyers in the plug-in-friendly state of California, Chevy has now given them the ability to gain one of the deeply desirable green stickers that allows single-occupant travel in the state's High Occupancy Vehicle lanes. But only Volts built after February 2012 are fitted with the extra emissions equipment that qualifies them as "enhanced advanced-technology partial-zero-emission vehicles," or e-AT-PZEVs, and GM is only selling those Volts in California. If you're thinking of buying a 2012 Volt in the state, make very sure you know which one you're getting: an early car, or a mid-year model fitted with the updates. In the end, early Volt buyers are willing to pay the money to be the first on their block to drive one of the very few plug-in cars that both runs in zero-emission mode and can take you cross-country if you need it to. The icing on the cake, though, is that the car is genuinely good--fun to drive as well as cutting edge. Score one for GM. The 2012 Chevrolet Volt gets noticed on the road, but its styling pales in comparison to the Prius hybrid or Leaf electric car. Inside, where most owners will spend time, it's far better than you might expect. With the 2012 Volt marking the second year of Volts in showrooms and throughout Chevy advertising, memories of the much sleeker, longer, lower concept way back in 2007 have faded. While the production Volt is recognizable, it's hardly distinctive in the same way as the Toyota Prius hybrid, the original two-seat Honda Insight, or even the all-electric GM EV1. From the side, the Volt is a five-door hatchback with a high cowl and waistline and fairly narrow window openings. Lighter-colored cars benefit most from a black trim panel that carries the shape of the window onto the upper door, but the Volt is still chunky in a way that neither the Toyota Prius nor the all-electric Nissan Leaf is. The Volt definitely gets noticed on the road, and we wouldn't call it bad-looking by any means. It's just not as distinctive--or perhaps iconic--as either of those trend-setting cars. The aerodynamic shape does say Chevy, with a modern and fully blanked-out replica of the twin-opening grille to the vertical glass panel in the almost-horizontal tailgate that improves visibility (somewhat)--just like a Prius. Inside, it's a different story. The Volt may be a tight four-seat compact, but the cabin blends Chevrolet's characteristic twin-cockpit design with some very modern flourishes. The bright vehicle information display and its graphics are simply better than those of any other car wearing the bowtie emblem, and available glossy white trim inevitably evokes Apple products. Blindfolded, you might never know the 2012 Chevrolet Volt isn't a quiet but normal car, though its surge of silent power from standstill could give it away. Unlike a hybrid like the Toyota Prius, the 2012 Chevrolet Volt might well be an exceptionally quiet conventional car when it's operating in electric mode. Chevy's remarkable powertrain remains entirely disguised most of the time the car is in motion. 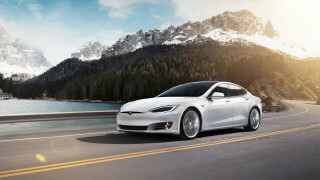 The accelerator has been tuned to behave as if the Volt were a standard car fitted with automatic transmission, even though it has no gears in the conventional sense. To drive it on a "single pedal," as you do the electric Tesla Roadster, you must put it into a "Low" mode that increases the car's regenerative braking. The surprise to drivers who may be familiar with hybrids, whose small engines often run out of breath, is how quick and sporty the Volt is. Its acceleration from 0 to 60 mph takes roughly 9 seconds, but it's smooth and stepless, with a strong surge of power right off the line to about 40 mph. That's an advantage to electric motors, which produce peak torque from a standstill. We were even able to spin an inside front wheel slightly accelerating out of a turn. Try that in your Prius! Top speed is capped at 100 mph. In mixed usage--using electricity first from the 16-kilowatt-hour lithium-ion battery pack and then, after 25 to 40 miles, switching to current generated by the range-extending 1.4-liter gasoline engine--the Volt's performance doesn't change. The driver may not even notice the engine when it first switches on, though its note changes as it provides power "buffered" through the battery. But acceleration is the same in either mode, making the Volt utterly predictable. The driver can also select Mountain Mode, by the way, which leaves more power in the battery and makes the regenerative braking more aggressive for long periods of sustained power demand. Electric power steering, suspension, and braking all are well integrated, and because the mass of the battery pack (located in the tunnel and under the rear seat) is mounted low, the heavy Volt holds the road well and corners flat. The quiet cabin, excellent build quality, and pioneering powertrain make the 2012 Chevy Volt a welcoming and very practical vehicle that just happens to plug in to the wall to get energy. Several hundred miles in a 2012 Chevrolet Volt brings an appreciation of its good roadholding, remarkably quiet cabin, and the simple but elegant graphics on its display monitors. Behind the wheel or as a passenger, the low-mounted seats are comfortable, with leather available as an option. Daringly, Chevy has offered some remarkably unusual accent colors and graphic designs--you can get abstract patterns and matching seat piping in lime green if you like, which works far better than you might expect. You can also get shiny white plastic for the console, evoking an Apple product, though we worry that it would date quickly over the far longer life of a car. There's also piano black, by now a cliche, and we prefer the quieter glossy charcoal option. Quality is high, with no rattles or squeaks from our test cars. A handful of owners have reported glitches or freezing up in the graphic display software, and Chevy--just as other makers do with their infotainment systems--has offered minor software updates. Your mother might not ever know she was driving a Volt from behind the wheel, except for the lack of engine noise and perhaps the futuristic humming tone as the car boots up and does its system checks. But without the masking effect of engine and transmission noise, that silence poses a new challenge: Engineers have to work that much harder to make accessories like wipers seem quiet, and either reduce or insulate against wind noise, tire roar, and a host of other sounds. Chevy's done a good job at this, with no startlingly loud sounds at speed or under full-throttle acceleration. Usually, the loudest thing you hear is the low-rolling-resistance tires. Only sometimes, under sustained high power demand, did the engine noise rise to a howl as it revved to the top of its power curve. Otherwise, the battery pack buffers the power demands from the electric drive motor, complementing the power provided by the engine-generator. The 2012 Chevrolet Volt has received top ratings for crash safety, though a single battery pack fire weeks after one Volt was wrecked is being investigated. While it may be the first "extended-range electric vehicle" ever sold in volume, the 2012 Chevrolet Volt cuts no corners on safety. It has been awarded top scores and the best ratings from both the Insurance Institute for Highway Safety (IIHS) and the National Highway Traffic Safety Administration (NHTSA). That means it ranks among the safest cars on the market, period. GM engineers subjected the Volt to all standard crash-safety tests, paying particular attention to the T-shaped lithium-ion battery pack that sits in the tunnel and under the rear seats. That pack is strengthened with beams that transfer crash loads straight through it and into the rest of the car's structure. During the fall of 2011, a fire in a Volt sitting in a wrecking yard--three weeks after it was destroyed by the NHTSA in a crash test--brought GM a lot of unwelcome media attention. The company noted that the wrecked car's battery pack had not been drained of its energy, as gasoline tanks in wrecked cars are routinely drained. GM and the NHTSA are working together to identify the cause of the fire, and it's possible that 2011 and 2012 Volts may be recalled if the investigation shows that additional safety measures are required. It's worth noting, however, that conventional cars in the U.S. experience roughly 250,000 gasoline fires per year--many of those during the accident, not three weeks later. Inside, eight airbags protect the Volt's four passengers. In front, dashboard and side airbags are joined by knee bolsters, and side air curtains stretch the full length of the passenger compartment. The usual list of electronic safety measures--including anti-lock brakes, stability and traction control, and other systems--keep the 2012 Volt well behaved. Every Volt is fitted with GM's OnStar telecommunications system, which for 2012 includes three years of free service. The 2012 Volt has a user-activated "chirping" noise that the driver can trigger by pulling the indicator lever, giving the driver a way to alert pedestrians if the car is approaching quietly. 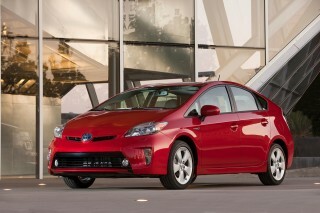 It does not have an automatic noise generator, as some other hybrid or electric-drive cars now do. While the 2012 Chevrolet Volt comes with several appealing special features, charging extra for a good sound system seems wrong in a $40,000 car. Starting at $39,995, the 2012 Chevy Volt doesn't have a lengthy options list. But compared to Chevy's other compact car, the 2012 Cruze sedan, its leading-edge powertrain is joined by quite a few standard features, including some unavailable on the Cruze at any cost. The steering wheel tilts and telescopes, automatic climate control is standard, along with keyless entry and remote start. For 2012, Chevy added proximity sensing to its key fob, so the car can be set to unlock as the driver approaches. Unlike the first year's worth of Volts, though, for 2012 Chevrolet charges extra for both the energy-efficient Bose audio system ($495) and the navigation/DVD system (a whopping $1,995). The standard sound system has only AM and FM bands, and a CD player; the Bose system includes AM, FM, and XM satellite radio, MP3 playback, and DVD-ROM capability, along with a standard 60-GB hard drive that includes 30 GB of space to store personal music. Bluetooth connectivity comes with the sound system as well. Other extra-cost options include polished alloy wheels and a handful of special paint colors, including Crystal Red Metallic Tintcoat and White Diamond Tintcoat. Chevrolet warrants the Volt's lithium-ion battery for eight years or 100,000 miles--perhaps reassuring those owners who choose to buy a Volt rather than lease it for three years. The Volt is covered bumper-to-bumper for three years/36,000 miles, with a limited engine warranty of five years/100,000 miles. Roadside assistance is included for five years or 100,000 miles as well. The 2012 Chevrolet Volt runs very efficiently on electricity stored in its battery pack, though if you run continuously using the gasoline generator, it's rated at 37 mpg--one third lower than a Toyota Prius. Driving daily distances up to 40 miles, the Volt is one of the most energy efficient cars on the U.S. market, bested only by a pair of battery electric vehicles, the Nissan Leaf and Mitsubishi 'i' minicar. And when those vehicles run out of energy, it requires several hours to recharge them, while the Volt can keep going indefinitely in just the time it takes to fill its gas tank. We consider battery electric cars slightly greener than the Volt, because they can travel further with no tailpipe emission at all. When the Volt switches over to power provided by its gasoline generator, however, the EPA rates it at 37 miles per gallon. 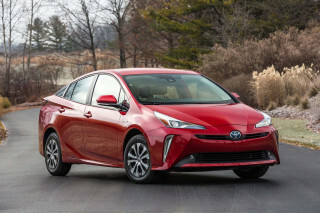 That's lower than the 50-mpg combined rating of a Toyota Prius hybrid--meaning that the Volt is better for shorter distances, but the Prius will use less fuel overall if you travel hundreds of miles every day. While prices vary greatly in different parts of the country, electricity is virtually always a cheaper energy source than gasoline, in part because gasoline engines are notably inefficient at converting the fuel's energy content into forward motion. The environmental impact of running on electricity produced from dirty coal has been studied, with the conclusion being that if you compare to a 50-mpg Prius, there are certain states in which the Prius is marginally cleaner. Compared to the average 25-mpg car, however, and electric running in a Volt is always cleaner on a wells-to-wheels basis. Using standard 120-Volt household current and the charging cord stowed in the Volt's load bay, a full recharge of the Volt battery takes 8 to 12 hours. That's more than cut in half if you install a 240-Volt charging station, but unlike electric cars with larger packs, that's not an absolute requirement for the Volt if you can charge overnight. The dealership actually offered me back my 2004 Toyota Camry LXE fully loaded and a beautiful car for all these years. Alas, a one owner car and I had just turned 150,000 miles. I have had this particular car... The dealership actually offered me back my 2004 Toyota Camry LXE fully loaded and a beautiful car for all these years. Alas, a one owner car and I had just turned 150,000 miles. I have had this particular car serviced at this dealership, and they have a top notch service department. issues with this particular car. There were some misstatements via the salesman as to the exact type of plug I would need. He stated I could use a 110/220, and it is not so. I would have fried the $15,000 lithium battery. I was also not given a full "sales spiel" as to the intricacy of this type of vehicle. I was given a ride not in the actual vehicle, but in a 2016. Mine was in the showroom, and I don't think it was ever fully charged...and checked out. I should have insisted on trying out my car... MY mistake. However, they have provided me with alternate transportation, an Equinox and a Malibu, both of which are normal, not electric cars to drive while they try to figure out what the heck is going on. The service Manager, and their head technician are putting heads together to ensure I am fully satisfied, and the owner of the dealership, has said he will ensure I am fully satisfied. Maybe this car sat too long in the showroom, not charged, as it looses the charge quite easily, and the heater/cooler for the battery is not functioning properly. This is an amazing automobile, great engeneering and dependable! I think this is a wonderful car! I am impressed that GM actually designed and built this automobile it is so far from the normal engineering of GM who usually sticks with tried and true. The car is dependable... I think this is a wonderful car! I am impressed that GM actually designed and built this automobile it is so far from the normal engineering of GM who usually sticks with tried and true. 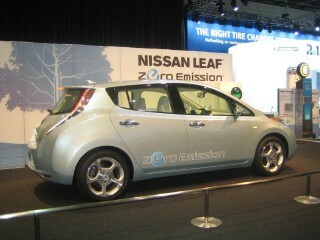 The car is dependable and delivers the stated EV range. The gas engine keeps up with power usage, esp in Mountain mode. The touch screen controls are not organized the best, but this is a first gen model and there are some room for improvements in that area. The car is very well equipped and is sporty to drive around town and daily commutes. On the road it is quiet and has excellent road manners, it is not buffeted by other larger traffic. Love the car generally. Dislike wind noise with windows partially down and find visibility weak. Have had to replace plug in port as only defect. Chevrolet VOLT, bridging the gap between gas and electric cars. The Chevrolet VOLT is a concept car. It's an important evolutionary step... A step away from gas-powered vehicles. 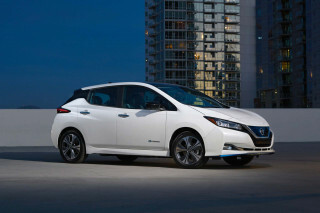 The "range extended" concept a no-compromise approach to giving an electric car the same... The Chevrolet VOLT is a concept car. It's an important evolutionary step... A step away from gas-powered vehicles. The "range extended" concept a no-compromise approach to giving an electric car the same functionality as a gas powered car. How did Chevrolet do that? They gave it a gasoline powered engine. It's actually two cars for the price of one. Make no mistake... It's power train is 100% electric. Unlike conventional hybrids, it doesn't need it's gas engine. Even if the gas engine were to fall out, the VOLT would drive the same. When the battery gets low, the gas engine comes on-line to keep it from getting any lower. This happens after about 35 miles. Aside from the "battery" icon changing to a "fuel pump" on the display screen, the transition is often unnoticed. Because the car is always running on the battery, there is no change in performance. The car seems to glide effortlessly from place to place and there is always a huge amount of torque instantly available. The car quietly sprints to freeway speeds without hesitation. 35 miles. That doesn't sound like a lot of range, but it isn't actually the cars "range". The VOLT's range is the same as any gas car. Want to go cross-country? No problem! My VOLT gets about 35 - 40 MPG while running on gas. If you are just commuting to work, you may go weeks without using any gas. And that's the real point here... GETTING AWAY FROM GAS. I bought my VOLT because I want to burn as little gas as possible. Charging at home, buying electricity has been far cheaper than buying gas. A full charge shows up as $0.60 on my utility bill. Try driving 35 miles on $0.60 of gas! And because the gas engine is only used part of the time, it's proving to be very low maintenance. I didn't need my first oil change until 35,000 miles. Seriously. The car not having good enough headlights is stupid. The ergonomy is a disaster, where a touch-screen makes one touch buttons involuntarily and then it is not always easy to correct this. Having said that, the... The car not having good enough headlights is stupid. The ergonomy is a disaster, where a touch-screen makes one touch buttons involuntarily and then it is not always easy to correct this. quite, reliable, stylish, comfortable, nice ride for its size, just don't mess with my glide. 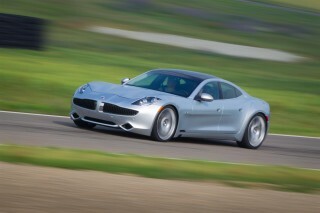 Fantastic car and power to beat 5.0 mustang up to 50 mph. Best car I ever had . I even had Audi s, Cadilacs, Corvettes, Thunderbirds, Subaru STIs etc. Usec only .3 that's .3 gallons of gas to go 1500 miles . Smooth, tons of torque. This vehicle drives very much like a BMW. A purchase I've never regretted even once!!!! I love my 2012 Volt!! !